Hard Wired 12v Auto Power Adapter (14') for use with PocketJet/Ruggedjet Printers. 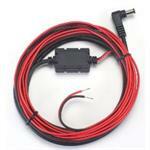 12v Auto Power Adapter (Cig Plug) (3') for use with PocketJet/Ruggedjet Printers. 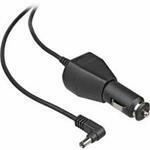 12v Auto Power Adapter (Cig Plug) (10') for use with PocketJet/Ruggedjet Printers.